Driven by the zeal to generate money and create employment for other youth, Gofaone Busang decided to be an entrepreneur, specializing in branding solutions and events management services. She started a branding business last year Sepmeber with just 100 glasses to sell in her home village Sefhophe. When she realised the high demand for the brand she started branding T-shirts and bucket hats. The business offers branding solutions for corporates and individuals, branding various merchandise items including t-shirts, glasses, cups, pens and others. “I wanted to maximize the holiday season and make cash whilst having fun, so I started by branding 100 glasses to sell at my home village Sefophe. The glasses were branded ‘FACT SEFOPHE ROCKS’ and they got sold out. I then expanded to branding t-shirts and bucket hats to sell,” said Busang. Busang is an Event Planner with an Associate Degree in Event Management from Limkokwing University. She graduated in 2016 but has never got a job. She has offered her professional services of events management in several corporates and community activities including Gabane Youth Business Pitso since inception in 2016. “I offer events management consultancy services, protocol and etiquette services and training, I have been offered such training to Gabane Youth Business Pitso since its inception. I have also been able to brand ‘FACT GABANE ROCKS’ and exhibit at the annual Gabane Youth Business Pitso thanks to the support of the GBYP committee who continually contribute to what I do and ensure I get the platform to showcase what I do,” she said. She said starting up was not difficult. 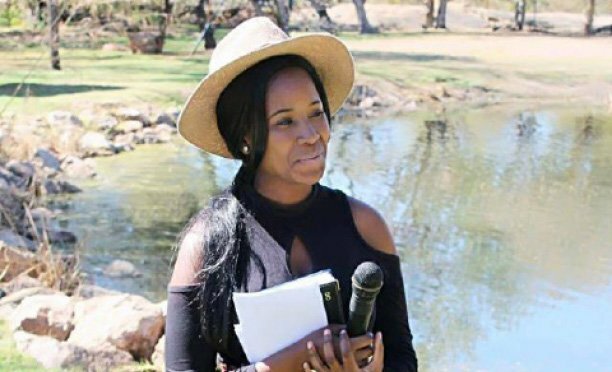 She just started her fast growing business with a measly P700. 00 “I had just got paid for a billboard advertising gig I did for Stanbic Bank when I thought of the idea. So I invested to kickstart the business”. Although the market is saturated, Busang said she is able to beat competition by working hard and perserverance. Her major clients are the youth and individuals as they love the creative ideas and style. “I work with different youth who offer different services; graphic designers, printers, photographers,” she said. In future, Busang said she is planning to have her own textile manufacturing factory and stop importing from China. “ In the next five years I hope to have my own place of operation, with own machinery and expand the business into other parts of the country thus creating more jobs for other youth. I want to have my own factory, manufacturing t-shirts, bucket hats and other products so that I stop importing from China,” she stressed. Busang currently has a new branding label for t-shirts called “Hustleprenuer”.